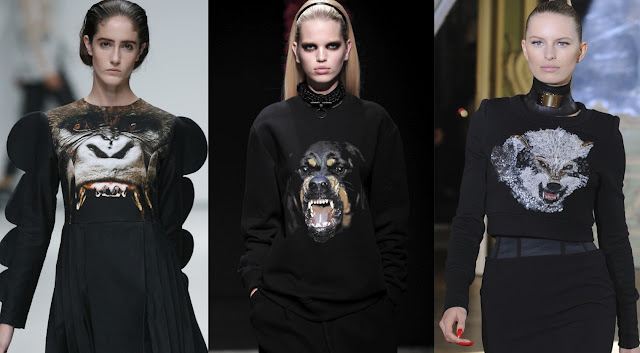 Gorillas, rottweilers and wolfs...the roaring wild animals started to appear at Christopher Kane in SS//2009 [left], than in FW 2011//12 Givenchy they were showed within the menswear collection [center], and later this season they appeared in Emanuel Ungaro for FW 2011//12 [right]. 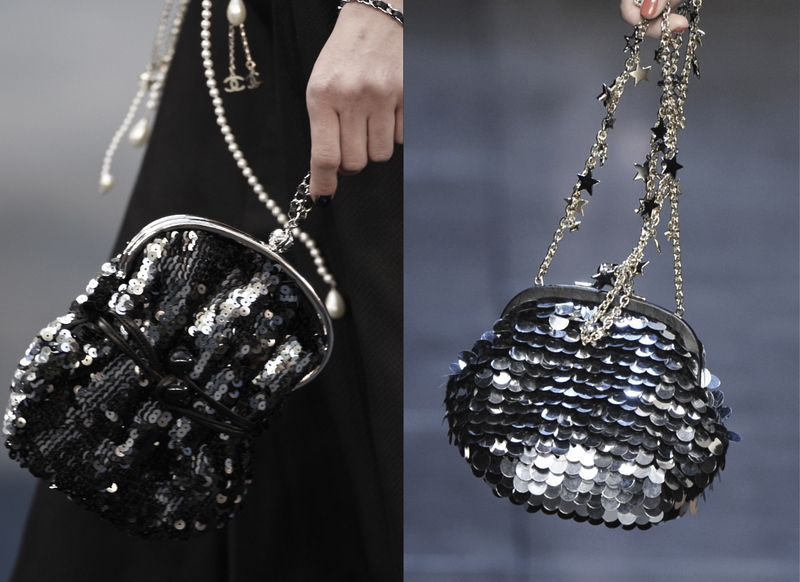 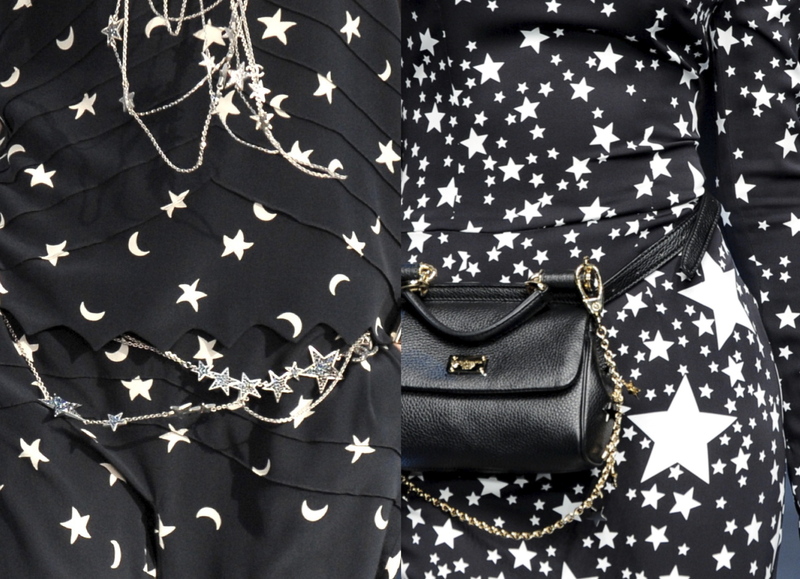 "Twinkle, twinkle little star..." and other sparkles at Chanel SS//2008 [all lefts] and Dolce&Gabbana FW 2011//12 [all rights]. 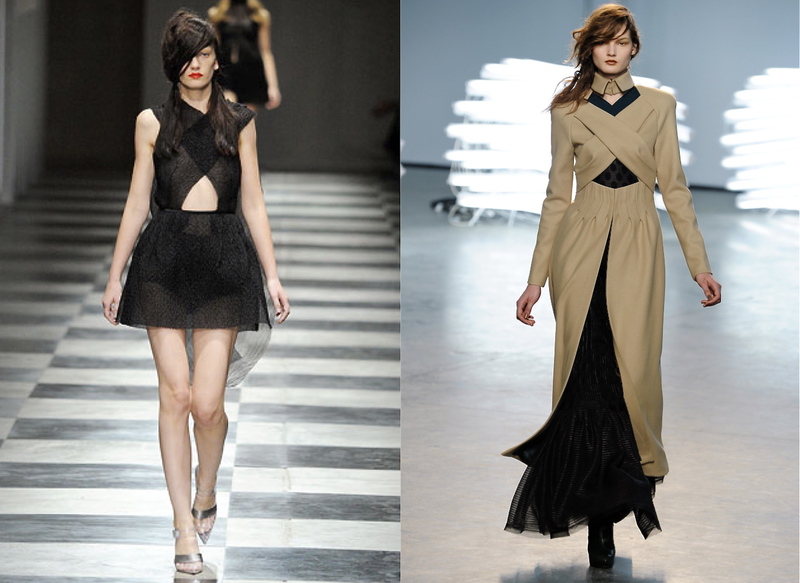 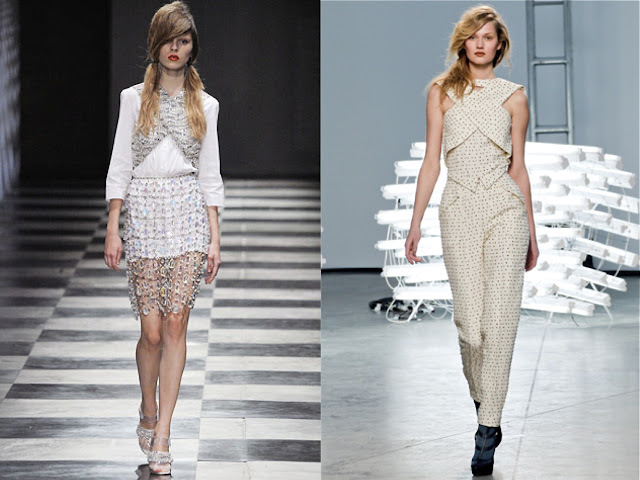 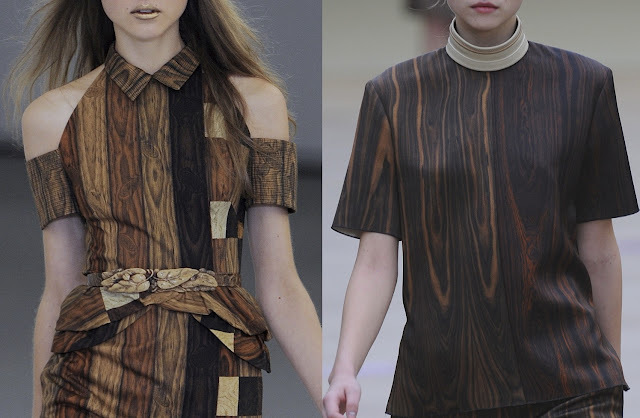 Similarities in detailing, colors and hairstyle: Prada SS//2011 [all lefts] and Rodarte FW 2011//12 [all rights]. 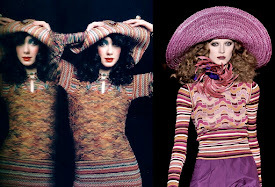 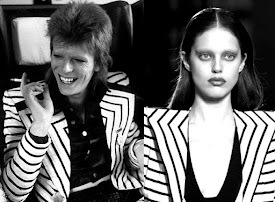 Kourken Pakchanian photographed Susan Schoenberg and Charly Stember in 1971 [left] for the september issue of Vogue America, ...an outfit of Just Cavalli for FW 2011/12 [right]. Alexandre Herchcovitch's FW 2010//11 collection [all aboves] was an hommage to Ingmar Bergman's movie "The Seventh Seal" from 1957. 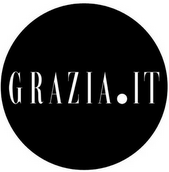 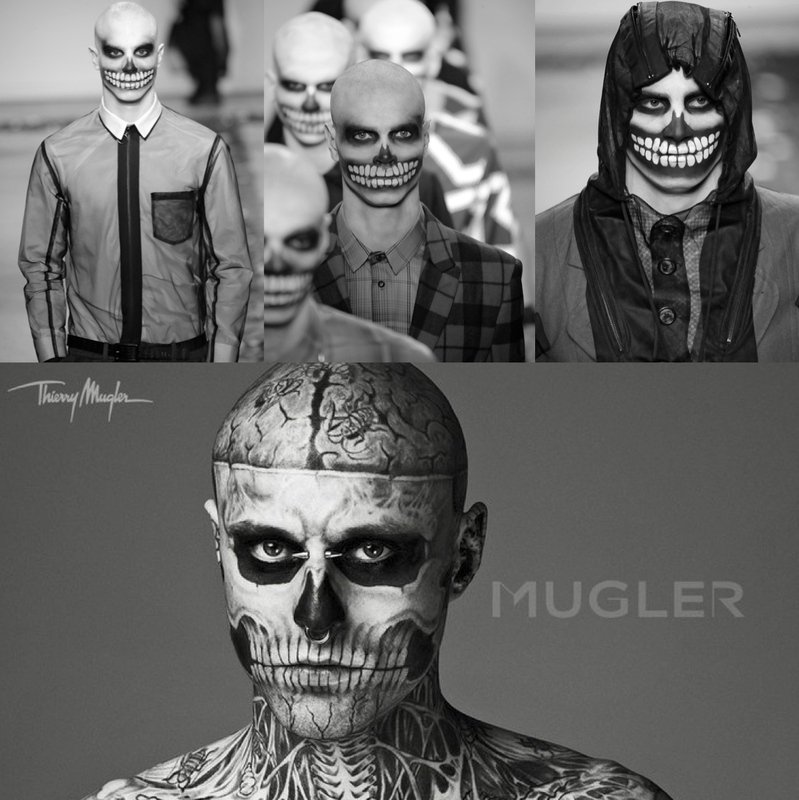 For the styling of the models Alexandre got inspired by Rick Genest, better known as the "Zombie Boy", who a year later becomes the face of the Thierry Mugler re-launch collection for FW 2011//12 [below]. 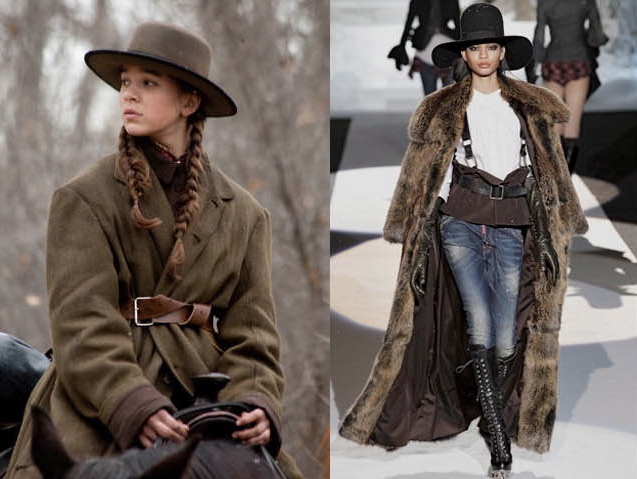 The styling seen on the wonderful Hailee Steinfeld in the "True Grit" [all lefts], last movie directed by the Coen brothers, might have been an inspiration for the FW 2011//12 collections of Etro [right above] and DSquared [right below]. 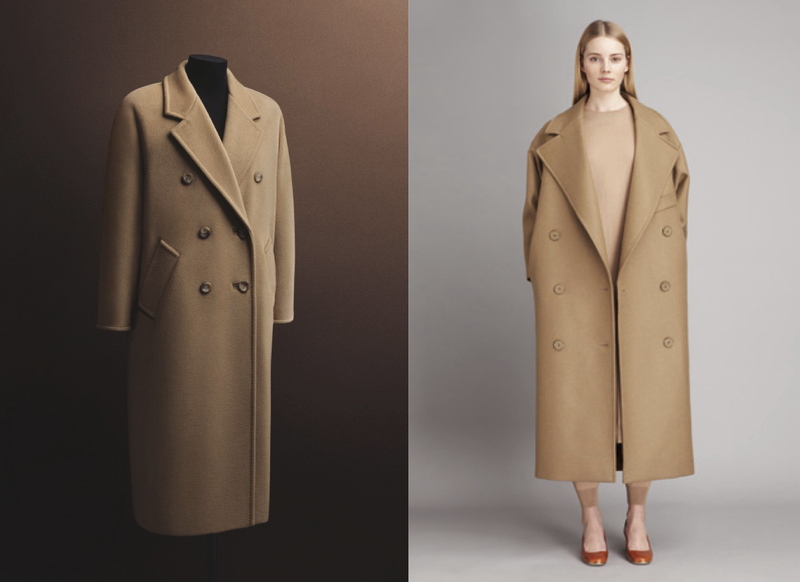 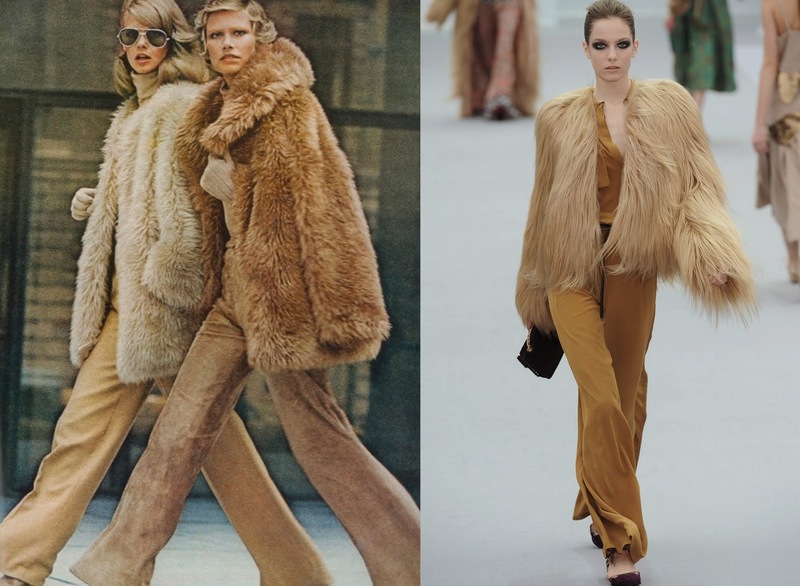 The Max Mara icon coat [left], a double-breasted coat in beaver wool and cashmere, was created in 1981 by Anna Marie Beretta and is today considered a cult worldwide. 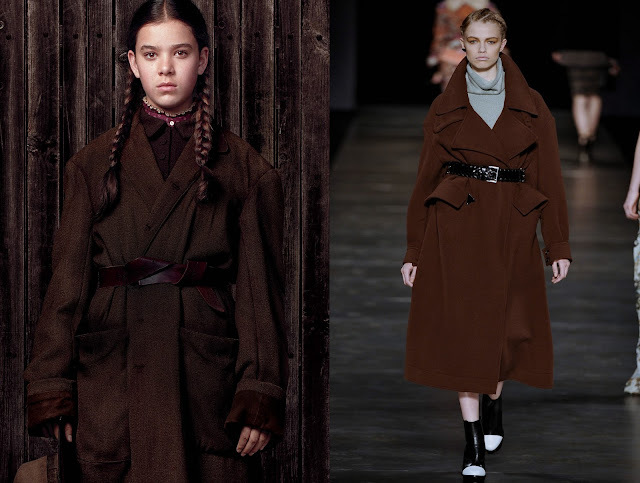 The 101801 codename of the first produced model continues to be a modern and current object of design: the 120cm length makes it perfect for every type of woman, while the kimono sleeves can be turned up to fit any arm length. 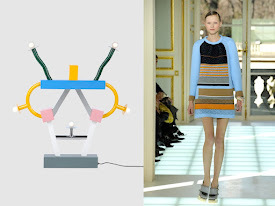 Also beautiful Stella McCartney's re-interpretation for her pre-fall 2011/12 collection [right].